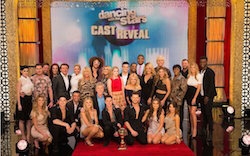 The cast of the "Perfect 10" season (10 years, 20 seasons) of ABC's Dancing with the Stars has been officially announced, and Riker Lynch will be part of it! 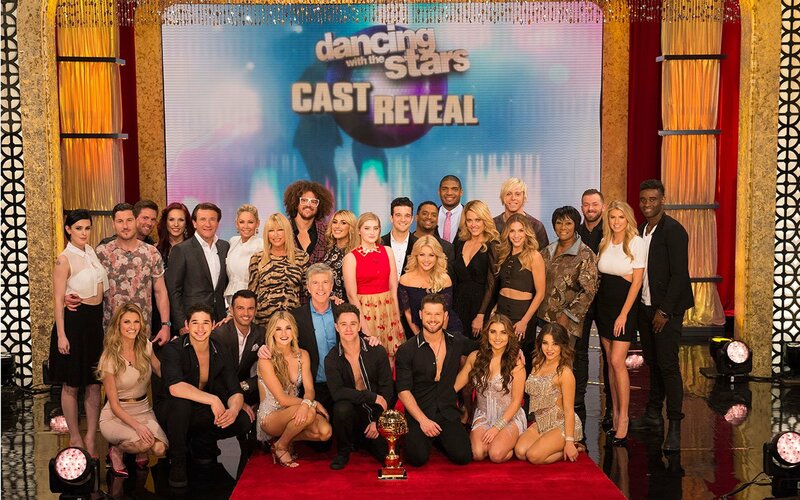 Riker will be partnered with renowned dancer Allison Holker. Season 20 premieres Monday, March 16th at 8pm only on ABC. Check your local listings. How exciting! Be sure to tune in and vote every week! 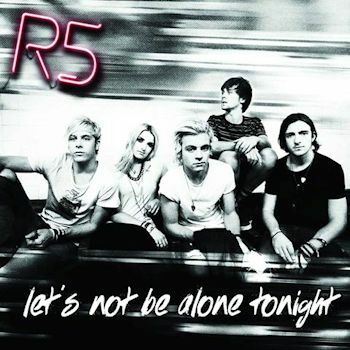 To help celebrate R5's new single ‪Lets Not Be Alone Tonight‬, R5 will be having a Hollywood Hang and performing Live‬ at The Roxy Theatre on March 4th! Tickets go on sale tomorrow, February 18th starting at 10am PT! Fan Club pre-sales will also begin tomorrow, February 18th starting at 9am PT only on R5Rocks.com! To learn more, please click here. 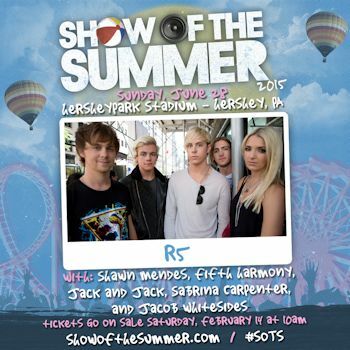 Celebrate the release of R5's new single and hang out with R5! Will you be going? R5 will be joining in with Fifth Harmony, Shawn Mendes, Jacob Whitesides, Jack and Jack, and Sabrina Carpenter performing live at the 2015 Show of the Summer concert event at Hersheypark Stadium in Hershey, PA on June 28th! The band will be playing a full set and the event is open to all ages! Tickets go on sale Saturday, February 14th starting at 10am ET. R5 will be doing an exclusive pre-sale for tickets for paid Fan Club members starting tomorrow, February 13th at 10am ET only on R5Rocks.com. You must have an active paid Fan Club membership and be logged into it in order to gain access to the exclusive pre-sale. Don't have a paid Fan Club account? Join now! Click here to learn more and to buy your tickets! The event organizers are also offering a VIP ticket option that include great seating in sections A, B, or C, pre-show VIP Fan Fest which includes SOTS artist meet and greet, and early entry into the venue. This is a separate VIP experience compared to what R5 normally offers and is NOT connected with R5 as you will line up to meet all artists there. Click here to learn more. How exciting! Will you be attending? R5 will be premiering their new single titled "Let's Not Be Alone Tonight" on The Morning Mash Up this Friday morning, February 13th at 7am ET/PT on SiriusXM Hits 1! The new single will then be available for download on iTunes in the US on February 16th! How exciting! Will you be listening this Friday and buying the single when it officially releases on Monday? Arizona, R5 is coming back to rock the stage! Catch R5 perform Live at the 2015 Pima County Fair in Tucson, Arizona on Sunday, April 19th at 3pm! All concerts are included with fair admission. VIP seating will be going on sale on Thursday, April 16th. Meet and Greet tickets will be available for purchase soon as well! For more information, please click here. Who's excited! Will you be attending?